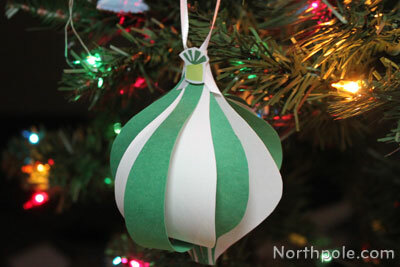 Reminiscent of a miniature hot air balloon, this ornament is a cheery addition to your Christmas tree. 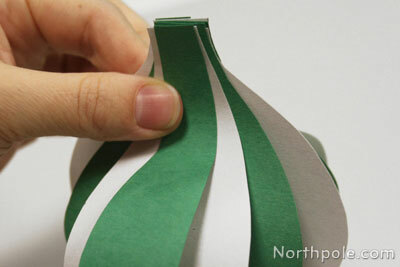 You can switch up the paper to create a “balloon” with different colors or patterns; try it with construction paper or double-sided scrapbook paper. 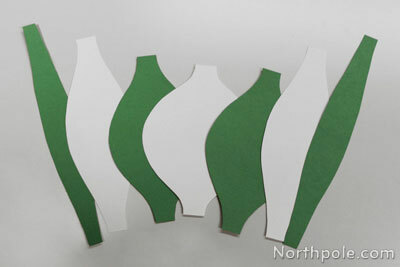 Print template and cut out pieces. Stack the pieces in this order: D-C-B-A-B-C-D.
Stack pieces so that they are lined up along the bottom edge. 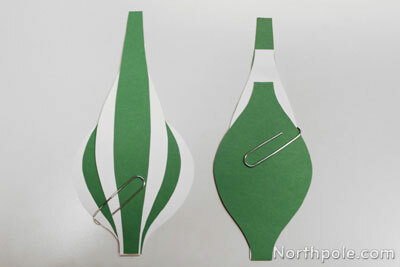 Use a paperclip to hold the pieces together. Staple pieces C-B-A-B-C together. Then glue D pieces d in place. 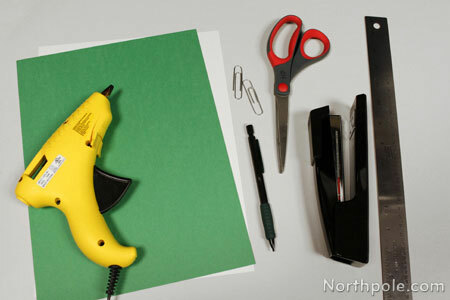 Remove paperclips and set aside. Line up pieces along top edge, and staple together pieces C-B-A-B-C. Then glue D pieces in place. 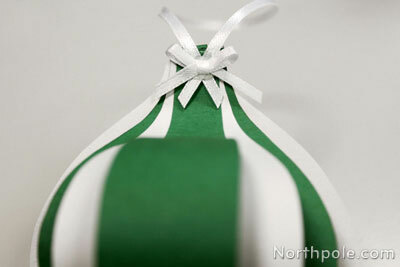 Use hot glue to secure the ribbon in place. 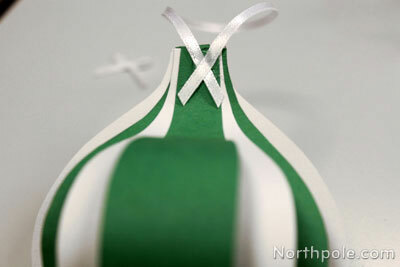 Tie a small bow from ribbon and glue to ornament. 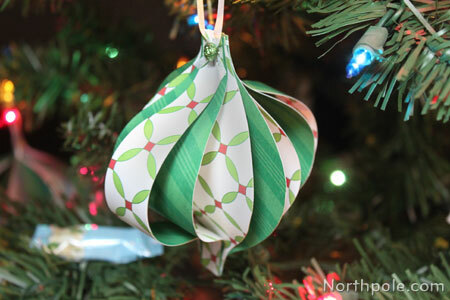 Instead lieu of a bow, cut out a small image from a piece of scrapbook paper and glue in place. 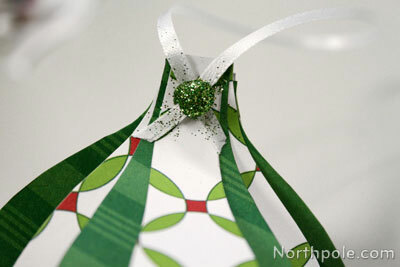 Try adding a dot of glue and sprinkle with a fine glitter. We used hot glue so that it kept its round shape, but tacky glue will work, too.